A hallmark of Western Caribbean cruises is an abundance of tours and excursions awaiting weary boat riders once they step off their ships at the pier. Known for its charming and relaxed atmosphere and exotic landscape, Jamaica provides the perfect environment for many historical, natural and adventure tours. From interacting with local wildlife to learning more about the island and its inhabitants, there is something for everyone to do in Ocho Rios, one of the most popular ports in Jamaica. Situated at the center of the northern shore, Ocho Rios tours take advantage of a prime location, putting guests smack in the middle of as much or as little action as they desire. We put together a list of the ten best Ocho Rios Jamaica excursions from the thrilling exploration of area rainforests to a glimpse into the life of the island’s most popular celebrity. There are Ocho Rios tours for everyone whether aboard one of family cruises or traveling on a romantic Caribbean adventure, and we have compiled the ten best just for you. 1. Dolphin Swim Encounter Tour: First timers and repeat visitors alike can’t get enough of the friendly and exciting residents of dolphin cove. On these tours, guests are afforded a half hour’s worth of water time with the magnificent mammals, swimming alongside them in a cuddly and cute adventure. These are some of the most popular Ochos Rios tours booked individually and through the cruise lines, however, so book early so as not to miss out on a chance to get up close and personal with these amazing animals. 2. Bob Marley Experience Tour: A visit to Jamaica is hardly complete without paying homage to the island’s celebrity hometown hero, Bob Marley. The tour starts not surprisingly at Bob Marley’s birthplace and also visits his final resting place, with historical stops along the way. Reggae is an incredibly significant part of the culture of the island, and these Ochos Rios tours are not to be missed for anyone looking to learn more about this important part of Jamaica’s heritage. 3. Dunn’s River Falls Tour: Hands down the most popular of all Ocho Rios tours, especially among first time visitors is a trip to Dunn’s River Falls. Here, guests can either spend time at the falls’ base, exploring the cool and clear waters and the lush landscape surrounding it while taking in a bit of waterfall swimming. Or, the more adventurous can climb to their top, a staggering six hundred feet up, for a bird’s eye view of the beauty below. 4. Mahogany Beach: Anyone with a penchant for watersports will not want to miss Mahogany Beach, where guests can partake in numerous thrilling and challenging activities from parasailing to water skiing and everything in between. Known as the adventure seekers’ beach, Mahogany is home to a fast paced look at the shore line from both above and below. A half day spent here is sure to provide even the most discerning adventure seeker more than enough nonstop action, but also a welcoming and inviting place to relax following a day of high seas escapades. 5. 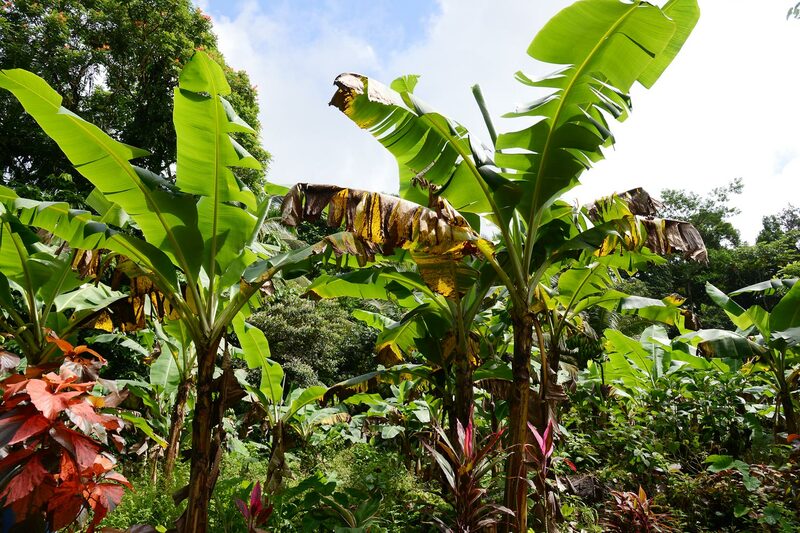 Prospect Plantation: Some of the best Ocho Rios tours capitalize on the rich history of the island, and those occurring at Prospect Plantation provide this historical perspective along with some of the most gorgeous surroundings that the island has to offer. It is one of the oldest estates on the island, surviving since the 18th century, and the activities here include ostrich feeding and butterfly viewing at the aviary. 6. Fern Gully: Driving through Fern Gully provides a relaxing way to view all the sights and sounds that the rainforest has to offer from the comfort and safety of a vehicle, making it an excellent choice for families traveling with children or those looking for a fun and slow paced way to view all the natural wonder that the island has to offer. Over two hundred species of ferns can be witnessed along these drives, demonstrating the incredible plant diversity the island has to offer. 7. Mystic Mountain: Many first timers select Mystic Mountain as their pick among Ocho Rios tours, and although a ride away from the port, it is not to be missed for newbies to the island. Many activities can be selected here from zip lining to bobsled rides complete with handbrakes. But, some of the most enchanting are less fast paced, including the seven hundred foot high chair lift ride, which serves as a jump off point for many of the area’s other activities. 8. Botanical Garden Tour: Western Caribbean cruises provide guests from all over the world an opportunity to get up close and personal with some of the most exotic landscapes in the entire world. There are numerous tours available for those wishing to check out some of the island’s natural water features and verdant forests, but the twenty five acre Shaw Park Gardens and waterfall and stream laden Coyaba River Gardens are among the best. 9. Jamaican Dogsled Team: Book Ocho Rios Tours that provide an opportunity to meet the Jamaican dogsled team and you will surely be in for an unusual encounter. Although there is not a flake of snow to be found here, guests can get the experience of a lifetime meeting and encountering these local celebrities. 10. Harmony Hall: Just ten miles from the port can be found Harmony Hall where local artisans converge to provide an inside look at local crafts and artwork. Aside from of course being available for sale, guests also get to witness the making of many of these pieces from pottery to jewelry. One of a kind pieces are available here and also at the nearby Wassi Art Pottery works, where demonstrations of finished pieces from start to finish are put on regularly.